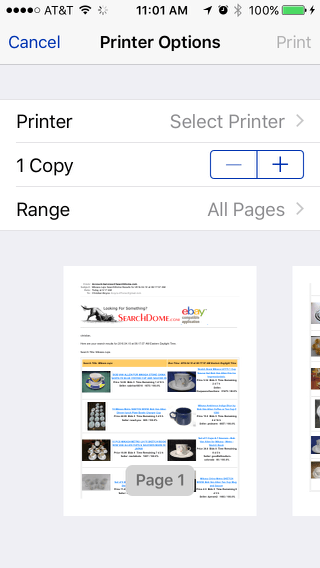 Here’s what you need in order to print from an iPhone. First, you need a printer, and the printer has to be available over the network. That means the printer has to be connected to the network either by WiFi or by an Ethernet cable. (Actually, there’s one more way that will work: printer connected to Mac via USB, and Printer Sharing turned on in the System Preferences/Sharing and also in System Preferences/Printers & Scanners.) Important: we are not trying to physically connect the iPhone and the printer. It’s all handled by the network. Also important: not every printer is going to work. If it says “AirPrint” on it, it will work. If not, it might still work. You can’t hurt anything by trying, so try. 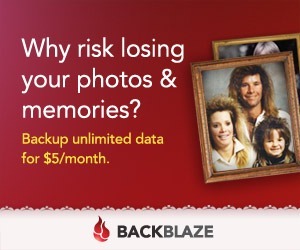 Also, your iPhone has to be on the same WiFi network as the printer. It won’t work at all if your iPhone is not on the same WiFi network. I saw a situation once where the printer was connected to WiFi, and the iPhone was connected to WiFi, but printing from the iPhone didn’t work… because the printer was connected to the house’s WiFi, and the iPhone had connected to the next door neighbor’s. Oopsy. Go to the Mail message you want to print. That is, have it on the iPhone’s screen. 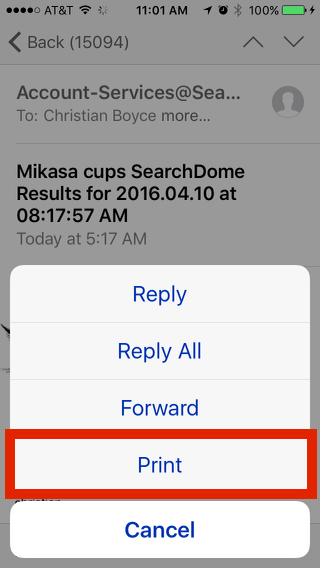 Tap the curvy arrow that you would use to reply to the email. After you do that, notice that “Print” is right there on the screen. Tap to choose a printer. You’ll see a list of printers. You will probably only see one but you may see more. Tap the right one. If you get a message saying “No AirPrint Printers Found” you’re not out of luck. 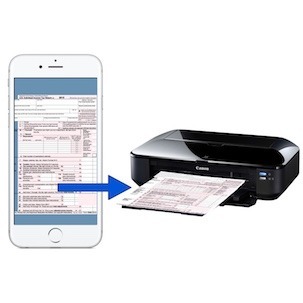 There’s software called Printopia which turns any printer connected to a Mac into an AirPrint printer. 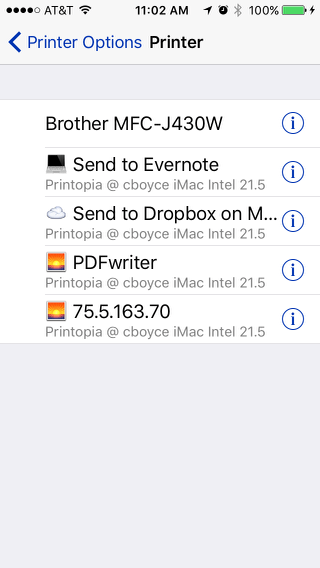 Yes, this means you have to have a Mac, but if you do, and it’s connected to a printer, Printopia will make that printer available to you on your iPhone and iPad. 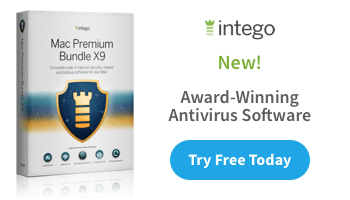 Free demo, so you can see if you like it. $19.95 one-time payment if you decide to buy. I own Printopia and it’s great. In fact, the last two printers in my printer list picture above are there because of Printopia. 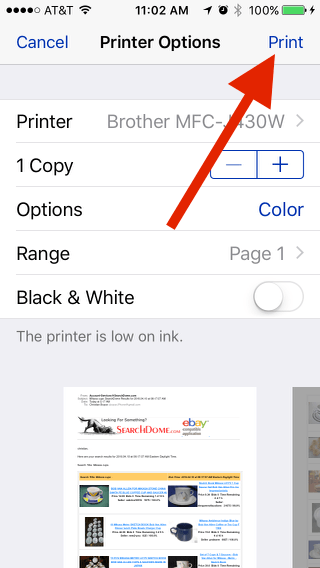 Now your iPhone shows the name of the printer you’re going to print to. Let’s tap Options and do some fine-tuning. Notice that, in this case, we can choose black-and-white printing. Not all printers will have this option. 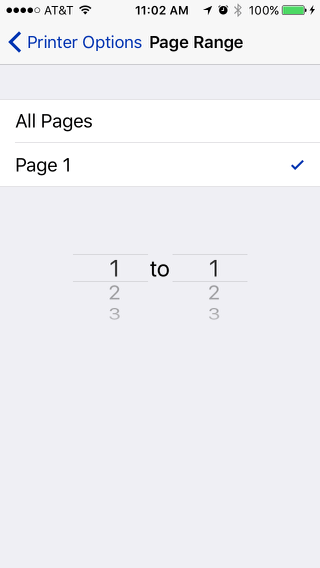 If you tap the Range button you can specify which pages to print. 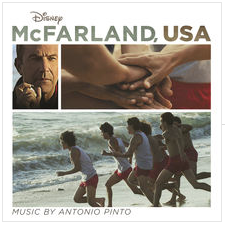 Notice also the thumbnails across the bottom– you can page through and find out which pages can be left out. Finally, with your options set, you can tap Print at the top right of the screen. If everything goes right, your page will begin to print. Printing from other apps is often just a little bit different. 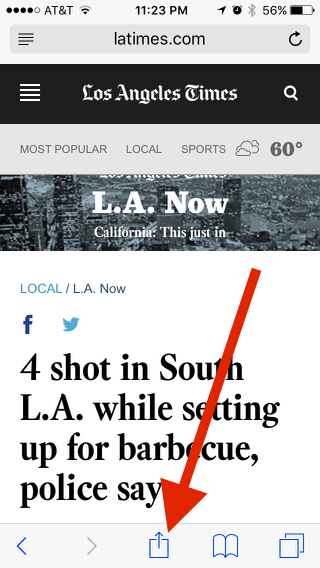 For example, in Safari, you don’t tap a “reply” button to get started. 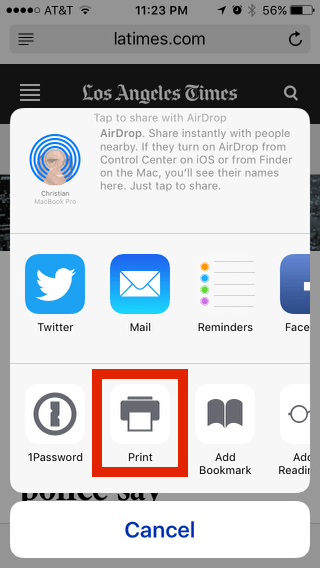 Rather, you tap the “Sharing” button, and then you choose how you want to “share.” In this case you’ll be “sharing” by printing. Here’s how it looks. Now find the Print button and tap it (you may have to scroll over to the right a bit to find it). You’ll know what to do after that– it’s exactly the same as printing from Mail from that point forward. 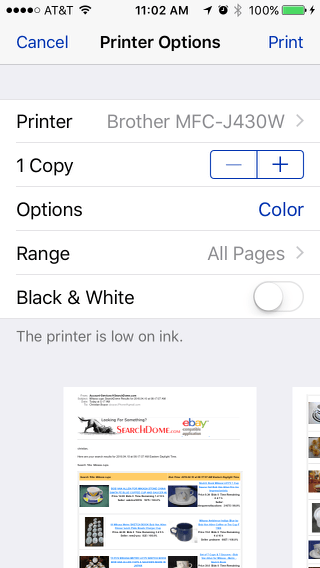 BONUS: what do you do if you want to print something from your iPhone, but the app you’re using doesn’t support printing? Easy: take a screen shot, then find the captured image (in Photos) and print from there. Don’t know how to take a screen shot? 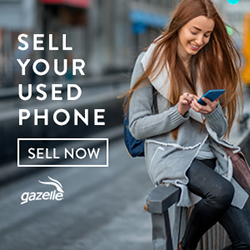 Oh that’s easy too: press the power button, and the Home button, at the same time. If the sound is up you’ll hear a camera-shutter click. The picture ends up in the Photos app, at the end.